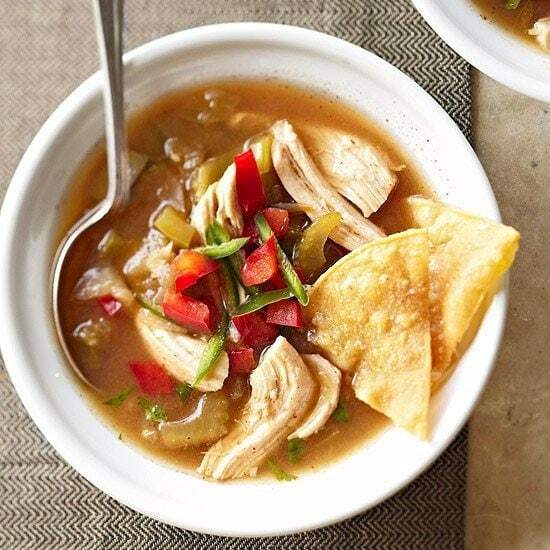 Here is a great Tomatillo Chicken Soup Recipe that sounds to die for! Chop three tomatillos. Place remaining tomatillos in blender. Cover; blend until smooth. In a 3-1/2- or 4-quart slow cooker combine pureed and chopped tomatillos, chicken, broth, sweet pepper, onion, celery, chiles, cilantro, jalapeño, cumin, lime juice, chili powder, garlic, and 1 tsp. each salt and pepper. Cover; cook on low for 6 to 7 hours or high for 3 to 3-1/2 hours. Remove chicken; let stand until cool enough to handle. Shred chicken; return to soup. If desired, top with sour cream, additional chopped red sweet pepper or jalapeño peppers, snipped cilantro, and/or tortilla chips. Your soups look so good! !